Good Evening! I loved the color combination from MFT Color Challenge # 16 and wanted to play one more time! 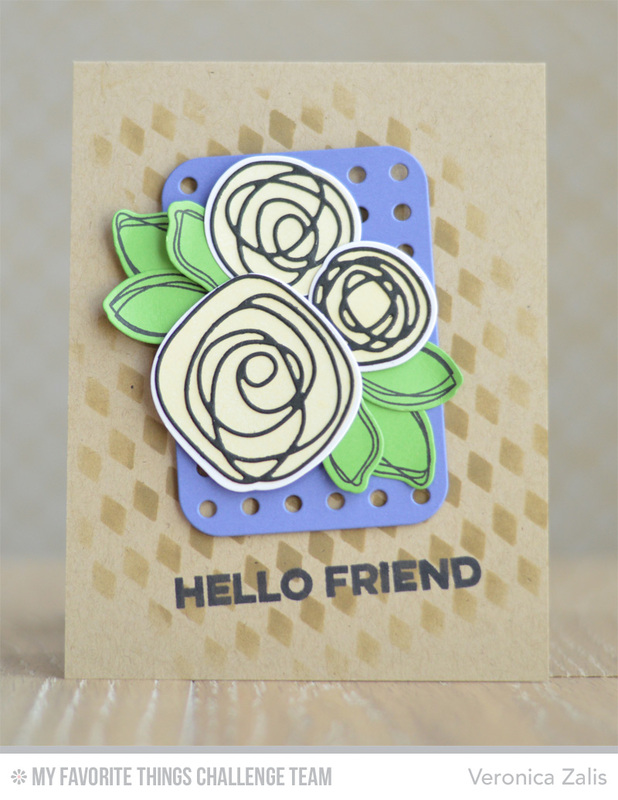 To create my card I used my new favorite MFT Floral set Circle Scribble Flowers with matching dies. I also used a sentiment from Wavy Greetings. If you'll notice it isn't WAVY! The wonderful thing about photopolymer stamps is you can shape sentiments any way you like on your block, so I straitened mine to fit my card! I added a subtle background using the Harlequin stencil and Kraft dye ink. My floral arrangement is anchored on a die-cut from Blueprints 22. I am so happy you stopped by, and I hope you will play along with MFT Color Challenge 16! The Challenge 1 year Anniversary! Playing Along With Sweet Sunday Sketch!